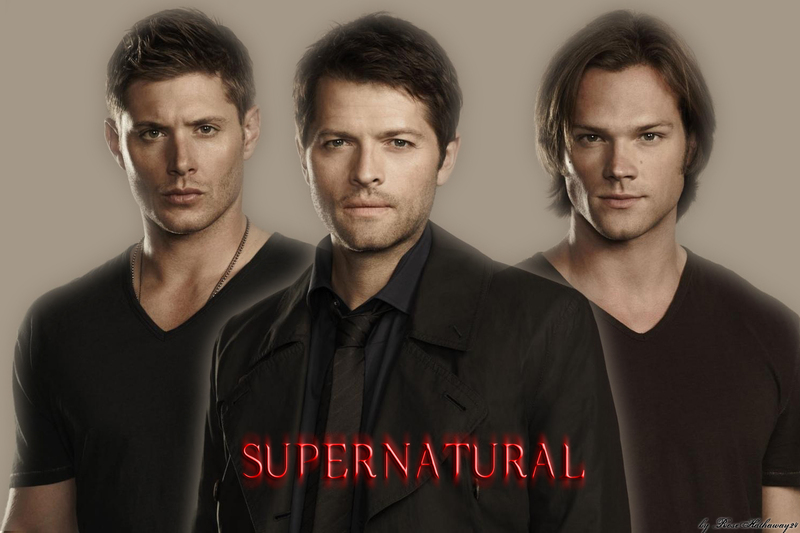 Dean, Sam and Castiel. . HD Wallpaper and background images in the supernatural club tagged: supernatural cw season 6 sam winchester dean winchester angel castiel misha collins jensen ackles jared padalecki. This supernatural fan art might contain retrato, tiro en la cabeza, primer, headshot, primer plano, en la cabeza, and closeup.